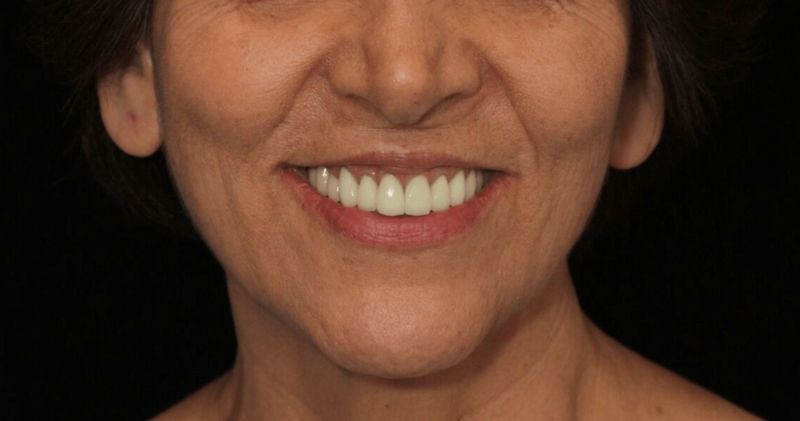 This minimally invasive procedure permanently corrects a gummy smile by lowering the natural placement of the upper lip to drastically minimize the exposure of gums. The surgery limits the movement of hyperactive muscles in the upper lip, and is done by removing tissue from inside of the upper lip, to restrict the retraction of elevator muscles, reducing the appearance of the gums. The surgery results in a beautiful smile for patients, and does not impede patients’ speech or other facial muscles. Surgical lip repositioning is a minimally invasive procedure that permanently corrects a gummy smile. A gummy smile can be caused by several factors, but affects patients all the same. Can you guess why? If you experience a gummy smile, you’re all too familiar with how this can affect your confidence. Many patients feel self-conscious about smiling because they are not happy with what their smiles look like, how much gum tissue shows when speaking or laughing, and generally do not feel comfortable smiling. Gummy smiles have a few causes, and depending on the patient’s specific needs, your trusted Brentwood periodontists will create a customized treatment plan to restore your smile and confidence! Although a gummy smile typically does not represent underlying health issues, it definitely affects the way patients feel about themselves. When the gingival tissue is exposed in excess and becomes the dominating visual feature in one’s smile, patients become self conscious about smiling with their teeth. A larger gum to teeth ratio, when there is more gum tissue displayed that teeth can create an unaesthetic appearance. Other patients may experience excessive gum exposure due to a delayed eruption of teeth, which can be corrected with crown lengthening treatments. Depending on each patient’s unique needs, a thorough assessment and careful diagnosis by a board-certified periodontist is necessary in order to resolve the issue and provide the best treatment possible. A gummy smile can be caused by the natural positioning of the upper lip, excessive gum tissue that covers the teeth, hyperactive lip muscles, vertical maxillary excess (also known as long face syndrome), altered passive eruption or a combination of these factors. These components all relate to the teeth, lips, jaws, and gums, which are all essential factors that influence the aesthetics of your smile. When something is out of proportion, positioning is off, or there’s been a developmental issue, your smile can be heavily affected. Each case has a distinct treatment plan, and your experienced Brentwood Periodontist will examine your specific case to determine the right treatment for you. Surgical lip repositioning is used to permanently treat a gummy smile caused by a hyperactive upper lip and the natural positioning of the upper lip. In this case, there is a large ‘gap’ between the teeth and the upper lip. A normal gum tissue display between the upper lip and teeth present in a “normal” smile is about 1–2 mm. In contrast, an excessive gum-to-lip distance of 4 mm or more is considered aesthetically “unattractive” by those who experience this type of smile and dental care providers in general. 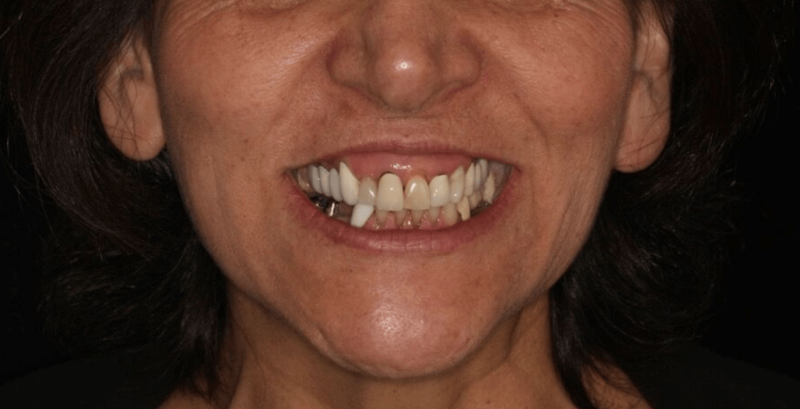 In this case, when excessive gingival display is apparent, it is a result of hyperactive elevator muscles, the muscles that are responsible for the movement of the upper lip, which drastically rise when speaking or smiling, resulting in an excessive display of gum tissue. When the elevator muscles are hyperactive, a surgical lip repositioning procedure is performed to restrict movement. It is a simple treatment, and a minimally invasive way to permanently correct a gummy smile. A surgical lip repositioning treatment is performed by removing two strips of tissue from inside the upper lip, creating what’s known as a partial thickness flap, and restricting the movement of the hyperactive elevator muscles. The upper lip is then secured in a new, lower position, resulting in limited movement and a dramatically reduced gum display. This simple solution to reduce the appearance of the gums will result in a beautiful smile for patient’s and transformed self-confidence! Dr. Aalam and Dr. Krivitsky take a specialized approach to treating their patients, to ensure they are receiving the utmost care, optimal treatment, and life-changing results. As the only dual board certified office in Brentwood, Los Angeles, the expert periodontists behind the CENTER for Advanced Periodontal and Implant Therapy strive to deliver gentle, effective care, and restore their periodontal and oral health complications. Dr. Aalam and Dr. Krivitsky have the experience, knowledge, expertise and training to properly diagnose and treat gummy smiles, as well as a wide range of aesthetic and functional gum and teeth related issues. The CENTER for Advanced Periodontal and Implant Therapy works harmoniously with general dentists we trust, so if you’re in need of a referral after your treatment with Dr. Aalam or Dr. Krivitsky, you are in trusted hands. We ensure the process will move smoothly, and you will receive the smile you’ve always wanted!